If you're committed to purchasing only sustainable products, you've come to the right place. Here's a definitive list of the Best in Sustainability. It's not easy to adopt a sustainable lifestyle or even attempt to focus on more sustainable products. It can be a challenge to figure out for sure which companies prioritize sustainability, and it can take considerable time to go through the many such companies out there. We've gathered the best in investment firms, companies, and manufacturers that put their money into energy-efficient ways of doing things while thinking of the environment, world conflicts, and overall smart business. 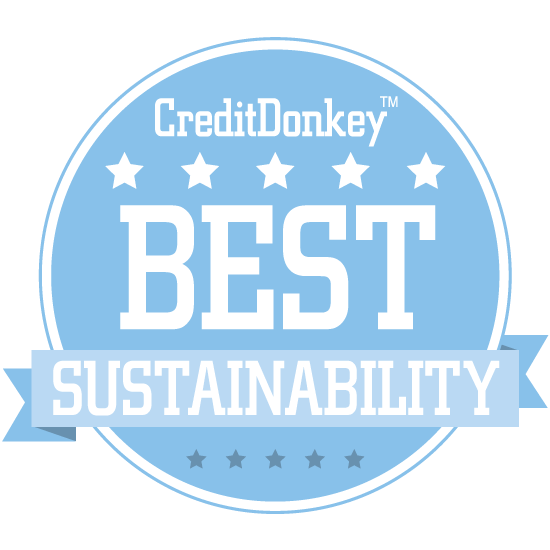 CreditDonkey helps consumers spend their money wisely, and that doesn't always mean buying something just because it's cheaper than another. It means investing your dollars in products or investments that you can stand by and support. Read on for this helpful list of the Best in Sustainability.